At Secret Retreats we believe in responsible, sustainable tourism. We encourage and support our hoteliers’ sustainable and responsible tourism actions and focus on one foundation or key action per year in order to raise as much awareness as possible. This year’s foundation partner for our annual campaign is the Misool Foundation who from their home in Raja Ampat, Indonesia have been successfully promoting sustainable tourism and community-based environmental conservation to create an action that we believe will be sustainable, long term and will benefit generations to come. They are doing incredible work but with a marine park of reefs and islands of over 300,000acres to protect, they do need all the help they can get to continue their work. Every booking made through Secret Retreats’ website or with the Secret Retreats Concierge will directly benefit the foundation with 2USD donated by Secret Retreats for every night booked. Thank-you for your support of this vitally important work and please click here to learn more and to perhaps make your own donation to the Misool Foundation. support the Misool Foundation here. Bound by a common desire to promote and protect the cultures, traditions, ecosystems and environments around our homes across Asia, each Secret Retreats member has signed a pledge to follow our core principles upon joining our organization. Asia is our home, the communities in each destination are our communities, the local cultures and customs, the cuisines and art forms, the local lifestyles and the surrounding nature, these are all equally important to each and every Secret Retreats member to share with the world and to preserve for future generations to come. you are supporting sustainable and responsible tourism. Secret Retreats’s core philosophy is to promote, share and conserve our Asian homes and we believe this is readily achieved by employing responsible and sustainable tourism business practices. to follow the best practices detailed within the pledge to ensure that their business operates in accordance with the key expectations of a responsible and sustainable tourism related business. Each member of Secret Retreats calls Asia home and as such they are personally invested in, and passionate about, preserving both the environment and their local cultures and traditions for the generations to come – that includes generations of locals and visitors. their local environment conscious farming communities. products grown or made in our hotelier’s communities. Hand picked teas from Darjeeling, peppercorns from Kampot, cocoa from Java, iconic flavours of Asia direct from the source, to hand woven products and ceramicware, one off pieces direct from the artists. together through local centered and fair employment practices. 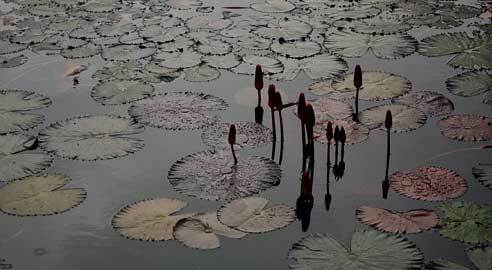 . .
You will leave more than footprints when travelling Asia with Secret Retreats. Built with only eco-friendly materials, 4 Rivers Floating Lodge’s pristine surroundings amidst the Tatai River and the Cardamom Mountains aptly reflect the company’s commitment to preserving the environment and supporting local sustainable tourism efforts. The eco lodge has worked with a number of local establishments and villagers in order to promote the protection of the region’s unique ecological systems. This private resort is fully committed to ensuring it maintains an eco-friendly environment without compromising a luxurious experience. Synthetic rattan furniture has been made with recycled plastic. Besides its stone walls, which were made with rubber waste and sand, and energy efficient LED lights, its wicker gazebo allows for a natural cooling system. This resort practices sustainable tourism by minimizing waste and its environmental impact. It recycles all their glass, cardboard, paper, and cans, and only offers draft beer and non-bottled water. The resort has no freezers, and all food is delivered fresh daily from the market or purchased directly from local fishermen and farmers. 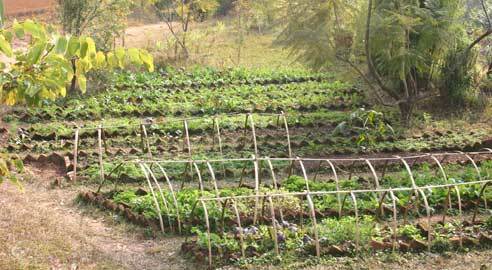 In addition to its organic gardens, the resort has a nursery where they grow fresh herbs and vegetables. Thanks to its Clean and Green campaign, this hotel organises everything from visits to a local school to teaching others about good environmental practices. One of their community initiatives called Eco Park grows fruit, herbs, yams, vegetables and spices. No chemicals have been used and all the produce is 100% organic. Guests who book a cooking class at the resort are taken on a tour to learn how the hotel makes their own compost. Lotus Houseboat offers an adventurous experience while maintaining a low carbon footprint due to the unique nature of its accommodations. Many activities featured onboard focus on the surrounding nature and embrace the commitment to minimise environmental impact. In an effort to be a part of the local family, MesaStila has been supporting and contributing to the community since its grand opening in 2004. Besides engaging employees from nearby villages and offering intensive hotel management training, it provides other aid. This includes regularly helping to clean nearby mosques in preparation for special occasions as well as collaborating with others to showcase Javanese culture with traditional dance shows, gamelan performances and batik lessons, which are held every afternoon at the hotel. This resort has created population databases for both reef and oceanic mantas present in Raja Ampat. Guests can become involved in the collection and identification of photos, and gain a greater awareness of these creatures and local environmental threats. The project also has an acoustic tagging program to learn more about the local reef mantas, looking at critical habitat use and migratory routes knowing they can travel up to 600 kilometres - potentially far outside of the Shark and Manta Sanctuary. This resort is dedicated to improving education at Ban Por, an isolated Hmong village at the top of the mountain, where teaching and learning conditions are difficult. So far, they have built two schools. One is for the first level (6-7 years old) and has 30 students. The second school, at the entrance of the village, has approximately 70 students ages 7 to 11. Neeleshwar Hermitage offers a peaceful and serene escape while emphasising activities that are both sustainable and local. As ambassadors of the local land, the resort provides bikes on a complimentary basis, along with maps that highlight nearby temples and the estuary, cultivating environmentally conscious sightseeing. The resort also encourages guests to immerse themselves in the surrounding natural beauty of the area with an eco-walk in the paddy fields or a relaxing hike in the Ranipuran Western Ghats. A simple sustainable project, local women are invited to collect the apricots in the orchard for free, which they then use to make homemade apricot jam. The hotel purchases this jam for its own use, and guests are also welcome to buy some to take home with them. Reverie Siam is committed to providing employment and engaging in sustainable tourism that gives back to the local economy. The resort was constructed by local builders who after the construction phase stayed on as valuable members of the hotel. Satri House is passionate about promoting Lao culture and customs, including one of Laos’ oldest dominant living crafts, textile weaving. In collaboration with “Khang”, they have created a centre for fine silks, textile design, Lao fashion and traditional weaving in the heart of Luang Prabang at 24 Sackarine road, Ban Xiengmouane. View exclusive collections made from Lao handlooms using different ancient techniques to create both traditional and contemporary designs. Talabgaon Castle is actively involved in improving quality of life of their local community and providing employment and training. Hiring residents from the local villages and providing job opportunities in various divisions in the hotel. Talabgaon Castle also encourages international travel companies and their guest to contribute to the local community by contributing of their resources in the field of education and social welfare. With a genuine love for Kalimantan and a vision rooted in making a difference in the developing world, the founders of The Spirit of Kalimantan have pioneered ecotourism and positive developments in the region. With a profound awareness of the fragile interrelationship between the rain forest and the livelihood of the Dayak people, The Spirit of Kalimantan continually seeks solutions that are in harmony with this powerful symbiosis. Operating in the middle hills of Nepal, where the surrounding area is under diverse pressures, the lodge is committed to the protection and enhancement of the natural environment, the local people and our employees. The lodge strives to ensure that all its operations have the smallest negative impact possible by reducing consumption of fuel, water, generation of waste, and minimising the use of chemicals. Our strong Community Support Partnership Programme is fully community led and based, focussing on education, environment and rural health. We encourage our guests to be aware of the impacts of travel and suggest mitigation options. The goal of this project is to help people who are living along the Mekong River learn how to swim not only for survival reasons, but also potentially as a paid professional sport. With their support, alongside VLK Travel, Hola Travel and another private donor, so far, they have built one club with a swimming pool and have professional swimming instructors that go out to teach the local children how to swim. This resort encourages guests to support Inle’s unique cultural and natural identity by buying locally made arts and crafts, enjoying Inthar cuisine, and learning how to cook it. It also is an active contributor to the Inle Heritage Foundation, a not-for-profit organisation that aims to preserve the Inle region, and help it to thrive as a place to visit, work, and live. Noel Rodrigo’s Leopard Safaris financially supports the Wildlife and Wilderness Conservation Trust’s (WWCT) Leopard Project by donating a percentage of each guest’s stay to them. They also give them leopard sightings data. The Glenburn Welfare Trust was set up in 2005 to promote education, culture and good health within the Glenburn community. To improve health Dr. Dame Margaret Austin conducts regular workshops on safety in the workplace and teaches First Aid to the local staff and their families. Founded by American-born architect and founder of Silolona Sojourns Patti Seery who is based in Indonesia, Patti became involved with the Asmat and Dani Tribes of Papua 30 years ago, and actively acts as a liaison between these fascinating yet vanishing cultures and some of the world’s leading institutions of cultural preservation including The Smithsonian, The Field Museum and The Art Institute of Chicago. Realising just how difficult the lives of some villagers are and how money for even the smallest thing is expensive for them, The Barber showcases all that is precious about Thailand—love, spirituality, and a treasured Zen outlook on life, which is Buddhism in its ultimate form. For every guest stay Slow Villas and Spa donates €1 to charity. The hotel supports shark conservation Shark and has adopted two manta rays from the manta ray conservation in Nusa Lembongan. Beginning in January 2017, the goal for JL studio has been to use (where possible) 100% all local produce, sourced from local farmers who practice responsible and sustainable agricultural methods. Our objective is to let more people know that we have incredible local Taiwanese produce, with farmers who genuinely care for this land. Chef Ramsey and his team grow many of their own produce, cultivating hard-to-get plants, using natural methods and helping. reduce the building's energy usage. Worm farms made from diatomaceous earth (clay) are fed kitchen scraps to produce compost and guano creating a natural fertilizer, without pesticides. The goal of Seeds School Project is to contribute and support to those in Myanmar who are without and privileges in life. Felix and Lucia actively support education within their community, and fund the project by adding $1US per guest on the top of the bill. Every guest contributes. At Gēn 根, it is very important for us to understand each and the ingredients and the communities that they are sourced from. For our produce, we use local farmers who maintain sustainable practices and actively care for the health of their land and livestock.